As the world’s largest nation, Russia is home to a multitude of natural and manmade treasures that make it one of the most intriguing travel destinations out there. Two of its most famous cities – Moscow and St Petersburg – are home to many magnificent monuments paying tribute to Russian history and culture, including the mighty fortress that is the Kremlin and the Hermitage State Museum, replete with treasures for you to admire and amaze at. For a holiday like no other, you can count on Russia to deliver. On our Russia holiday packages, you’ll get to enjoy all aspects of this fascinating country. Moscow offers much to every intrepid traveller, but book lovers, in particular, will relish a trip to the Leo Tolstoy Museum Estate, where Tolstoy himself penned many of his famous works. In St Petersburg, there’s the opportunity to take in a ballet performance at one of the city’s most renowned theatres, and you'll also get to visit the Russian Vodka Museum, where you can learn (and taste!) the country’s national drink in all its glorious authenticity. 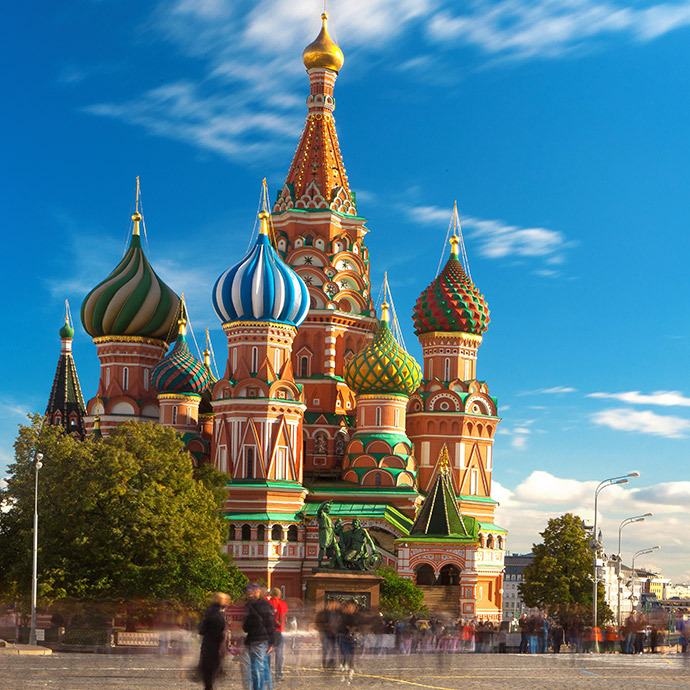 Discover the world’s biggest country on escorted tours of Russia with Travelsphere. On a holiday to Russia, you’re likely to encounter a shot or two of vodka. Before you head east, read up on a few facts on the Russian tipple - including how best to enjoy the local beverage.